MMC is currently accepting applications for a Special Education Coordinator/Teacher for the 2019-2020 school year. This individual will work to provide individualized programs to meet the needs of all students with disabilities and ensure compliance with all state, federal, and local requirements. The Special Programs Director is part of the Administrative Teams and reports to the Principal. The Administrator accepts such employment and agrees to perform his/her duties under this Agreement in accordance with the rules and regulations as required by the School, the Sponsor, and the State of South Carolina (which includes meeting the all applicable and/or required State Board of Education leadership standards). General Compliance: Carry out the mission and goals as established by the School's Charter. Work within the mission and goals set forth each year by the School's Board of Directors. Prepare for compliance audits as performed by the Sponsor. Assist the Admin Team with opening of schools check list Support school policies, including the Student Code of Conduct. Assist in maintaining a safe learning environment. As directed by the Principal, communicate with the School's Sponsor and provide all necessary documentation, as needed, for compliance. Attend all Sponsor required meetings. General Administrative: Assist the Principal and Assistant Principal(s) in maintaining a safe learning environment. Assist in the administration of fire drills and other safety preparations as prescribed by the School's Crisis Response Plan. Follow all school policies, and enforce the School's Code of Student Conduct. Take part in interviewing, hiring, and discharging, faculty and staff. Attend weekly faculty meetings and month Admin Team Meetings. Assist the Administrative Team as needed. Assist in Staff Development Training. Position Specific Duties: Exceptional Student Education (ESE) Coordinator/Contact English Speakers of Other Languages (ESOL) Coordinator/Contact 3rd Grade Mandatory Retention Coordinator Personalized Education Plan Coordinator Misc Responsibilities: CDCSC Administrative Staff are members of an Administrative Team and must attend meetings which are held from 4:00pm-6:00pm (or later) at least once per month. CDCSC Administrative Staff may be required to fill teaching positions in the event of an unfillable vacancy or other mitigating circumstance. The Administrator acknowledges and agrees that unless he/she obtains the advance written approval of the Board of Directors, he/she shall undertake no outside employment, including consulting, and shall have no outside business interests that create an actual or perceived conflict of interest. For the purposes of this section, the term outside employment shall mean any activity, including consulting, which is beyond Administrator's specified duties and which may result in compensation to Administrator beyond that provided by School. 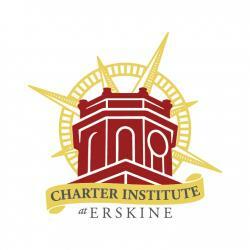 Elementary Teachers for new charter school. Must h old a valid SC Teacher Certificate/License or be eligible for certificate/License within 60 days of school start date.